Before you take on something new or conquer something old, like a bad habit, you need to motivate yourself first. But, sometimes that isn’t always easy and requires some discipline on your part. Stop feeling lazy and get off that couch and don’t let yourself turn into a couch potato when it comes to life! Here are some practical ideas and solutions to help the motivation juices begin to flow and get yourself back on track into whatever it is that you want to do and accomplish. -Sometimes if you sit down and have a good talk with yourself and make a deal with yourself, it helps. It also gets things done if you promise yourself that you are going to accomplish things. A good way to do this is to reward yourself. Say something like, “Once I clean the house, I can relax with a hot bath and candles.” You get the idea. -Set achievable goals for yourself and set one big large one. Like if you are going to lose 25 pounds on a diet, work weekly goals of 2-3 pounds, but then set one large goal of 25 pounds. That way, when you reach your weekly goals, they will be little victories for you and your big goal will be achieved in no time. This also sets the flow of reaching your major goal as well. -Boost your self-confidence by accomplishing the hardest task first. Like if you are going to clean your house. Start with the biggest chore like scrubbing the floors or cleaning the toilets. This will also get you into that cleaning mode as well. -Get into the mindset and act like you are motivated. Even if you don’t feel like you are motivated, pysch yourself out as if you are. And more than likely, within an hour or so, you will actually feel motivated. -Sometimes, instead of jumping into something head on at full speed, you need to take your time instead. Visualize the task at hand, see yourself doing it and how you are going to do it, then do it! -Make whatever you have to do be fun. This might not work with everything, but a majority of the things it will work. -Don’t compare yourself with others. Go at your own pace. For example, if you are at the gym and have started the same time as someone else who is trying to lose weight as well, every time you see this person for weeks, they are dropping their weight rapidly, whereas you are going at a slow pace. Don’t compare yourself to them, compare yourself to what your results are. No person is alike in their progress. If you are going to compare yourself with others, then you are already setting yourself up for failure. -Never have the fear of failing. When you do that, it’s hard to motivate yourself and worse, you’ve lost before you have even tried. Always remember that the worse failures are the ones you never tried or gave had a chance to. -Know why you are trying to motivate yourself. If it’s to quit smoking, find out everything you need to know about quitting smoking, do your research. -Keep track of your successes and never focus on your failures. Look at any failure as a learning experience and motivate yourself to do better and achieve what you want to accomplish. -Make sure you know why you are trying to motivate yourself. If you have no objective in mind, then it’s a lot harder to motivate yourself. It will be hard to get something done if you don’t have a good enough reason. -Always write down your goals and what you want to accomplish. Seeing it on paper or in a journal whether it’s written or on a computer, laptop, smart phone, etc… Just seeing it before you will help motivate you. Look at your goals every day several times a day. -Put up photographs of what you want to accomplish. If you are trying to lose weight, put up photographs of models whose bodies you want, or bodybuilders who have the ultimate muscles. Or, if you want to fit into that dress or suit you just bought at the store, take a photograph of it and put it on your refrigerator. That way, when you are having a snack attack, the photograph will motivate you to not snack and stay focused. -Always remember to stay positive! Don’t get yourself down or discourage yourself from obtaining your goals. It’s very important that you keep a positive attitude in anything you try to accomplish. -Use your creativity and find innovative ways that will motivate your success. If you want a better paying job, make a chart on how to obtain that dream job or career. -Most importantly make the most of your time and make every minute count in your day. Always think positive and constantly strive to move forward. After all, a rolling stone gathers no moss. When you take the time to set goals, have a vision of success and get in touch with your personal values, that is called taking control of your life. Sometimes, we become out of focus and forget what is important to us. When that happens, we tend to feel like our life is spiraling out of control. That is when we need to take control over ourselves and focus on what is important to us. When we are in control of where our life is going we are a lot more productive in where we are going towards our future successes. So, where do you start? How do you begin to take back your life? -First, you need to get back in touch with your values. Sometimes our priorities get all out of whack and they are not aligned with our value system. This causes us to work harder and not feel like we are getting anywhere. When we have that happen, we need to sep back and ask ourselves some questions such as: What values motivate you and are important to you; money, love, security, freedom? Who is important to you; significant other, child, boss, parents, etc…? Who or what is the most important thing in your life? How do you make yourself feel good; working out, meditating, dancing, etc…? If someone you respected and loved found out what your values were, would they stick by you? If they walked away, would you stick by your values? Do your values define who you are? Do these values affect your life? Now, make a list of your top ten values. Out of those ten, pick your top five. Then out of those five, pick your top two. Now you know where to focus your energy and time. -Next, figure out what it is that motivates you. Say you wake up tomorrow morning and you are given the chance to try anything you want without failing, what is it exactly you would do? It could be something that you have had on your mind but have been afraid to try because of fear of failure. -Now it’s time to set some goals in order to obtain what you really want out of life. Without goals to fuel your purposes, your desires will not be obtained. Make them concrete and write down what goals you want to achieve. If you have several goals, write them down in order of which ones are most important for you to accomplish first. -All set? Now it’s time for you to take action! What’s the use of writing down goals if they are just going to sit on a piece of paper or in your mind? Get them off that piece of paper and bring them to life! They are worthless if you don’t implement them. Create a plan of action and get started. Take one step at a time to achieve your goals. Do something every day to help you get closer to your goals. Remember, you have to work at them in order to achieve your goals! -Make sure your time management skills are dead on when it comes to achieving your goals. Everyone has 24 hours in a day, but how we manage that time is up to us. Have you ever looked at someone, maybe a friend or relative, and asked yourself, “How do they get so much accomplished in one day?” Well, the answer to that question is time management skills. Plan your time wisely and make time for your goals to be worked on and achieved every day. -Probably easier said than done, but do what you need to do to get to where you want to be. Sometimes the daily tasks of getting to where you want to go can be boring and tedious, but stay strong and keep your pace. You will get there. It just sometimes takes a long time to get there, but have patience and perseverance and don’t give up on your goals or dreams that you want to accomplish. -Always maintain self-discipline. Don’t let anything get in the way of what you want to accomplish. Obstacles might come in between your goals, but just hurdle over them and keep your pace going. Don’t give up because an obstacle appears in y our path, find a way to work around it and soon enough, you will manage to get to where you want to be in your life! So, after you bought this book, how long did it take you to open it and read it? That long, eh? That is called procrastination. We all do it at some point or another in our lives, but the important thing is that we get over it. You want to quit smoking, or lose those last ten pounds, or start a fitness regiment or even find a new job, but what is keeping you from that? You have been putting it off for a long time now, but why? Stop procrastinating! -Maybe the task is unpleasant to do. -Maybe you are fearing the unknown. -Maybe there is a fear of failing. -Or maybe you have a fear of change. Whatever your reason or reasons are, you need to work on overcoming them. Believe it or not, procrastination can cost you many things in life. It can cost you that raise you deserve, that relationship you have been desiring and even your quality of life can go down hill. By procrastinating, there could be endless opportunities slipping away that could better your life. For instance, you put off your annual doctor’s check-up and when you finally go in, you find that you have a disease that is beyond curing because it wasn’t caught in time, which could result in death. Now sit down and write out what things you have been putting off doing. Don’t wait until the New Year to make resolutions, do them now. Don’t put off writing a list either, put this book down and write out your list immediately. When you are done then pick this book back up. Go on. I’m waiting. Ok, now you have your list of what needs to be done. You’ve taken the first step. Congratulations! Now, close your eyes and think about how you are going to accomplish these tasks from beginning to end. What things need to be done in between to get you to your finished task? See your task being completed and imagine the feeling you will have once it is completed. Now that you have seen in your mind the completed task, think of the process you will start working on to get to the finishing point. Energize yourself with each step of getting to the end of your task. Remember not too take on too many tasks at the same time, don’t bite off more than you can chew. Pace yourself. Maybe start out by working on one or two simple tasks at the same time and save the bigger ones for later. Think of new and creative ways to complete your task. If you find it boring and tedious or that you are in a rut, then change it up a bit to make it interesting. Say that you have been putting off spring-cleaning and it’s time to thoroughly clean your house. Cleaning is boring, face it. But, why don’t you put on some music to listen to while you are cleaning? Or play a movie on T.V. that you have seen before and just listen to it while you clean. Tell someone or your friends of what you are going to start to accomplish. There, now it’s out there in the public. And guess what? You now have a support system. If you tell someone who really cares about you, they will wonder how your progress is going, so they will naturally ask you. Be honest with them and let them know how you are progressing. Another reason to tell someone is that we all seem to progress better when we know someone is keeping tabs on us. If your project requires research, then start by doing your research on what it is you want to accomplish. If it’s a diet, then research on healthy eating. If it’s exercising, then find out what are the best exercises for your body type. If you want to quit smoking, find out what anti-smoking aides there are out there for you. Make sure you know what you are doing and have all the details ready so if you have any obstacles or snafus, you are ready to overcome them and keep working towards your goal. Be organized with your project. Once you are all organized, your research is complete, now you start with one step at a time. Don’t take it all on at once. Break it down. If you are starting out exercising, then start with slow cardio like walking and then build it up to walking faster, then sprinting, then jogging and then running. Always have a goal to strive for, it makes it more interesting and challenging, like a game. Write the steps down on paper and follow them on a daily basis. You know how that saying goes, one day at a time. It couldn’t be truer in taking it one day at a time, one step at a time when it comes to overcoming procrastination. So, it’s that time again to search for a job or maybe you want to look for a better paying job than what you already have. Striving for a higher quality of life for better pay is always encouraged. Now the question is, how do you go about doing it? When it comes to a successful job search, there are many ways to go about it. But, the number one way is to start online. There are many sites, free and ones you have to pay for, that are offered on the Internet to help aide in your job search. -First, build that killer résumé and pump your skills up and your experience. Show all potential employers that you have what it takes to fulfill their job position. If you want to take it a step further, build a website, there are many free ones out there with templates that can showcases your talent and experience. -Google your name to see what comes up. Now-a-days potential employers will also do this to see what negative things come up under your name and determine from there if they want to pursue you as a possible hire. If you find things on the internet that are negative, then it’s time to take care of those things and remove them, if at all possible. -Refine your searches on job boards. This helps you get the openings you are looking for a lot more quickly. Narrow your searches the industry you want to work in, the location you ant to work in, keywords and minimum salary requirement. -Instead of just sending out your résumé to a lot of companies, why not narrow it down to the companies you want to work for? Go to their website and see what opportunities they have to offer and apply with them. If you can, if the company is in your city and offers tours, set up a tour of the company to see exactly what it does and how they run it. -Try a job recruiter. Let them know what you are looking for and what you want out of your next job. They are a great resource for helping you to find your niche. -Stand out from the others. A rising trend in the job market now is, in addition to printed résumés, are video résumés. It gives the pre-meeting a little more of a personal touch. Make sure you smile and show a lot of confidence when recording one of these. Also, make sure you dress nicely, no shorts and t-shirt! First impressions always make a difference. -Run a search online of what exactly type of job you are looking for. Sometimes the companies don’t post their job listings or only have them on their websites. -There are companies out there who offer job alerts on their website if you sign up for them. This especially works if you are already working and want to move to another company. Find the companies you like and sign up for any e-mail or text alerts that come through for job openings. -Also, keep in mind, it’s not always what you know, it’s sometimes who you know. If you know someone who works at a company that you want to work at, ask them to put a good word in for you. Or, ask your friends about where they work and if there are any openings. Sometimes, employees get a jump on the information of job openings before they go public. Use that to your advantage! We all have it in our lives. STRESS! Even the word itself stresses me out and makes me want to pull out my hair! Well, not exactly, but a lot of us have to deal with stress on a daily basis. Whether it’s at work, at home, when we are out driving, raising children, shopping, etc… Chances are, there is something that will stress us out on a day-to-day basis. Here are some stress relieving things you can do to get rid of that stress and live a nice and calm stress-free life. -Believe it or not cleaning house can be a great stress reliever and to add to it, playing music while you clean will also add to relieving that stress. Besides, when you’re done, your house will be clean! -Whether you go to a pet store or have your own aquarium, watching fish swim around is calming and soothing. Especially if there are many different colorful ones. -A stroll in the park alone or with a friend is always a nice way to relieve stress. The fresh air and the warm sun is very calming. -If you’ve had an unusually long stressful day, sometimes putting on music and singing to it at the top of your lungs will relieve the stress you have inside. -Sit in a hot bath with candles and soft music or if you have a Jacuzzi or hot tub. Hot water is always very good for relaxing. -If you have a lot of commitments and are feeling overwhelmed, then cut some of them down. Sometimes overwhelming yourself and over dong it will cause more stress in your life than you actually need. -Meditating for about five to fifteen minutes a day can do wonders for relaxing. With or without soft music in the background and lit candles are always a bonus. -Take your dog for a walk or if you don’t have a dog, take your neighbor’s dog or a friend’s dog. -Chocolate is also a stress reliever. Don’t consume too much, but a few pieces can be very soothing and relaxing and besides, it tastes good! -Breathing exercises are always very good. Lie down on your back and close your eyes, start to relax from the tip of your toes to the top of your head while you are breathing in and out very slowly. -Put on some of your favorite music and dance to it. Whether it’s very fast music or very slow music, get your body in tune with the music and get into it with all you have. -Work out and exercise on a treadmill or something that has to do with cardio. Exercise is always a good stress reliever. -Sometimes taking a drive for a day is a great stress reliever. A drive in the mountains especially, playing your favorite music, having alone time with your thoughts with no distractions will do wonders for your high stress level. -If you know how to cook and love doing it, it’s always a great stress reliever. Baking cookies or a cake also helps, besides when you are done you have some yummy treats to eat! -Something as simple as taking a nap can do wonders for your stress level. Just relaxing on a bed and taking a power nap or a long nap. Just listen to y our body and what it is telling you. -Read a book or your favorite magazine. Sometimes getting your mind off things that are stressing you out will lower stress. -Watch the sunset and as the sun sets, think of it as taking your stress along with it. Most of us come to a point in our lives where we want to lose weight, but are not sure how to or where to start. There are so many “diets” out there and exercise regiments and machines and so many different things to take in when embarking on a weight loss program, it’s a wonder how we don’t just lose weight while doing all the research! Here are some tips to help you get on the right track to getting a new trimmer and slimmer figure just by doing some simple things. -Don’t starve yourself! Instead, add healthier foods to your diet. Your body needs fuel to burn and if it doesn’t get it, then it goes into starvation mode and stores the food you are taking in. Remember you want to burn fat and calories, not store it! Add fruits and lots of vegetables to your diet. -Don’t look at it as working out. When we hear the phrase “working out” we tend to feel that pit in our stomach and begin to dread going to the gym or if you have your own home gym. Look at it as relieving stress and exercising your body instead. The term “work” usually has negative connotations of something we don’t want to do. -Walk at least 30 minutes a day. All you need to do is get your heart pumping for at least 30 minutes a day and it helps to burn calories as well. Instead of taking the elevator at home or at work, use the stairs. If you need to run to the local market for a few things, walk there instead of drive. Walk anytime you can and at the end of the day, you will find that you more than likely walked more than 30 minutes and burned calories while doing it! -You can eat the foods you love. Yes, you can! I eat pizza, tacos, burgers, etc… Just use the lower calorie version and lower fat version. Like instead of using whole milk, use low fat or fat-free milk. The same with cheese. There are a numerous varieties of low fat and fat free cheeses out there. Same goes with meats like hamburger and chicken. Substitute a chicken breast that is 4 grams of fat as opposed to a chicken thigh that has three times the fat. Make sure you take of thee skin too! -Always drink at least 8 glasses of 8 ounces of water each day. Water fills you up! Drink a glass of water before every meal and you will find that you get full faster and eat less, resulting in weight loss. -If you can, order a kids meal or at restaurants, ask for a healthy alternative menu. These days, every fast food chain has healthy choices to order, instead of a burger and fries. Make healthy choices, even when you are on the go. There is no reason why you can’t eat healthy outside your home. -Combine watching television with exercising. When you are watching your favorite television shows, exercise during commercials or during your show. If you have a stationary bike, park it in front of your T.V. and use it when you watch television. Or do some sit-ups or crunches or leg lifts, etc… There are lots of exercises you can do while watching your favorite shows. -Using smaller plates for your meal portions will make you think you ate a full meal. It’s true! When you use a smaller plate than a normal size dinner plate so you eat less therefore, you lose weight. Seeing your smaller plate filled with food gives you the psychological effect thinking that you are eating a full portion, when in reality, you’re not. -Don’t eat out of boredom. If you’re the type of person who likes to eat when they are bored, take up a new hobby. If you like to munch while watching television, replace those potato chips with carrots or celery. I am the type of person who likes to snack when I watch T.V. I found that if I take a bowl of sliced mushrooms and some of my favorite fat free dressing and dip the mushrooms into the dressing, it gives me the feeling of eating chips and dip. I can snack on them and not worry about the empty calories or unwanted fat grams. -Make sure you eat at the same time every day. This way, your metabolism is working constantly. Make sure you eat three meals a day and healthy snacks in between. If your body is constantly burning fuel, then your metabolism is boosted and you lose weight. -If you are cooking for a family, make low-calorie dishes for everyone. When you go grocery shopping, buy healthy foods and snacks for everyone as well. That way there are no temptations. -Last, every little thing counts and adds up. Make sure that when you snack, you eat fruits or vegetables, not potato chips or fattening snacks. When you substitute low-calorie for high calorie, it makes a lot of difference! For a lot of people quitting smoking is one of the hardest habits to kick. People’s bodies tend to become addicted to the nicotine contained in cigarettes and although it may relieve their stress, it also contributes to cancer and other unhealthy issues that come with smoking long term. You are one of those smokers. Maybe you have been smoking for long term or just picked up the bad habit and want to quit. The first step is making the decision to quit. Now what do you do? -First, ask yourself why is that you want to quit smoking in the first place. You need to motivate yourself to really want to quit. Write down all the reasons why you should quit and why you want to stop this bad habit that isn’t good for you. -Now that you know why you want to quit, a known tip is to never go cold turkey. Meaning, never just stop altogether. You need to wing yourself. Nicotine is a drug that your body has become addicted to and it needs to go through withdrawals, so if you go cold turkey your body might go into shock and chances are, your body won’t be feeling very good about the withdrawals. So, you need to wing your body from the nicotine slowly. -Try using the nicotine patch or nicotine gum in lieu of cigarettes. This way, you’re not inhaling the cigarette smoke and you are letting your body gradually wing itself. -If you’ve been smoking for a long time, ask your doctor about prescription pills to help you stop smoking. The pills help reduce the cravings for cigarettes and help with your body going through withdrawals. In some cases, it also helps if you suddenly start getting depressed. -Get support from family and friends. If you don’t have a support system in place, it will be hard when you are having those stressful days. If you need to, there are online communities that will help you and its members are other smokers who are trying to quit and a lot of them are going through what you are. -Make sure you take up something else that manages your stress. 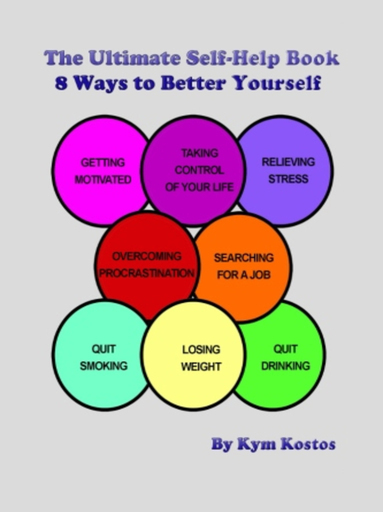 See Chapter 5 of this book on ways to manage stress. -Don’t turn to alcohol or other drugs or bad habits. Replacing one bad habit with another is never a good idea. If you love to have a glass of wine and smoke a cigarette at the same time, don’t use triggers either. Stop drinking wine until you know you are completely done with smoking cigarettes. -Once you have smoked your last cigarette, clean your house. Your clothes, furniture, ashtrays, everything needs to be cleaned. Throw out your ashtrays and get the smoke smell out of everything else. -Take up exercising. This is good in two ways. One, it helps relieve stress and two, people tend to eat more when they stop smoking, so taking up an exercise regiment is always a good idea and beneficial. -Never try to diet while you are trying to quit smoking. Just eat healthier and when you get that urge to put a cigarette to your mouth, use a carrot or celery stick to munch on instead. -Once you have kicked the habit of smoking, you will also be saving a lot of money by now not buying cigarettes. With the money you save in the first month, splurge on something and reward yourself for a job well done! One of the hardest things to quit doing is drinking alcohol. It’s everywhere we go; in restaurants, bars, nightclubs, family get-togethers, barbecues, dinner parties, everywhere. Alcohol has become a staple of our society and everywhere we look there are advertisements for wine, beer and liquor. As a society, we have it practically pored down our throats. Alcohol is also very addicting. It’s a mood enhancer and for some of us, it makes us loose our inhibitions and relaxes us. For those who drink it for a long time, risk the diseases that come with alcoholism. Cirrhosis of the Liver is a common disease associated with long-term alcoholism. So, you want to quit drinking alcohol? Well, here are some tips to help you along. -Throw out all your alcohol bottles at home and even at work, if you have some in your office. You don’t want any temptation and this is the best way to do it. If you have roommates who have alcohol, ask them to keep it hidden from you. Instead replace your alcohol with other beverages. If you like wine, drink grape juice instead, if you like to pop open a can or bottle of beer when you get home, substitute soda or diet soda instead. You get the idea. -Make sure you are eating at least three healthy meals a day. Never skip a meal. When you do that, your stomach will feel hungry and you could very well mistake hunger pains for alcohol cravings and that wouldn’t be very good. -Never think or act like you have no control over your alcoholism. Some make the mistake of rendering themselves powerless over alcohol, but in reality, it’s powerless before you. Once you realize that, then you control the power over the alcohol and therefore, it’s a lot easier to stop drinking. It holds no control over you and you need to make yourself realize that. -If you haven’t had a drink in two weeks and suddenly you cave in and have some alcohol, don’t let that ruin your determination for quitting. It happens to most people who are trying to kick a bad habit. The next day is a new day and start over working on quitting. -Eat healthy and maintain good health while you are quitting. Your body is going through some changes and withdrawals and needs all of the healthy food intake it can get. -Take up a moderate exercise program. You will probably be sweating out the alcohol in your body, so help it along by clearing your system out by sweating it off. It also will help with how you look and feel about yourself. -Reflect on the past and how alcohol has caused you any heartbreak or harm to others. Remember how you have hurt others in your past with your addiction. Maybe you were abusive to people while you were drunk. Maybe you drove drunk and crashed into another car. It’s always good to remember the harm that you have caused from your drinking, so that you won’t go back to that lifestyle again and harm others. -When your body starts to crave alcohol, it’s craving sugar. So, don’t mistake sugar cravings for alcohol cravings. Unless you have blood sugar issues, in which case you should have never been drinking in the first place. But, if you don’t have blood sugar issues, keep some candy with you at all times. That way, if you think you are craving alcohol, more than likely it’s a sugar craving that can be satisfied with a piece of candy. -Drink lots of water. You need to clean out your liver from all the alcohol you have consumed and have filtered through your liver and kidneys. Pure clean water will help this along. -Count your blessings and appreciate what you have. If you have lost a lot while alcohol binging or destroyed relationships and friendships, then either mend them or just be thankful for what you still have left. -With the money you save from not buying alcohol, after your first month of sobriety, treat yourself to something nice!